I am old enough to remember what it was like to have played with or seen some of these Vintage wind up toys. 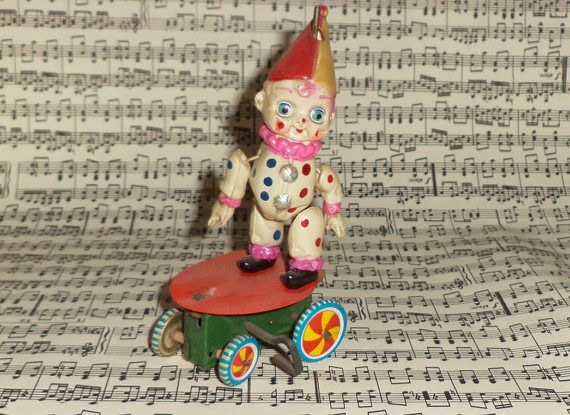 Toys from the past with those tiny little keys attached to them have become highly sought after by Toy Collectors. Not surprisingly, there are still many of these little spell binding moving toys to be found and enjoy all over again and available to be bought from Etsy Vendors. 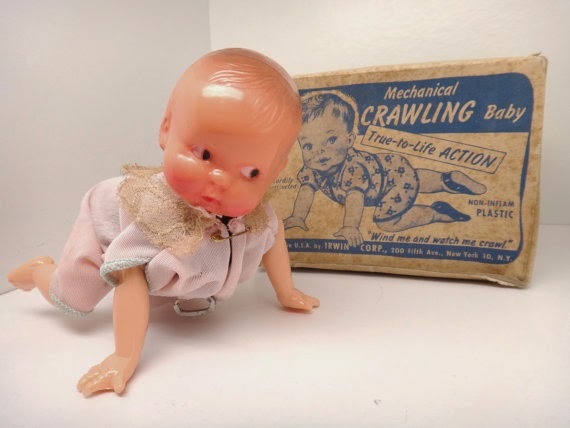 LOOK, over at The Wild Burro there is this 1940's wind up crawling baby toy with its original box. How cool is this? 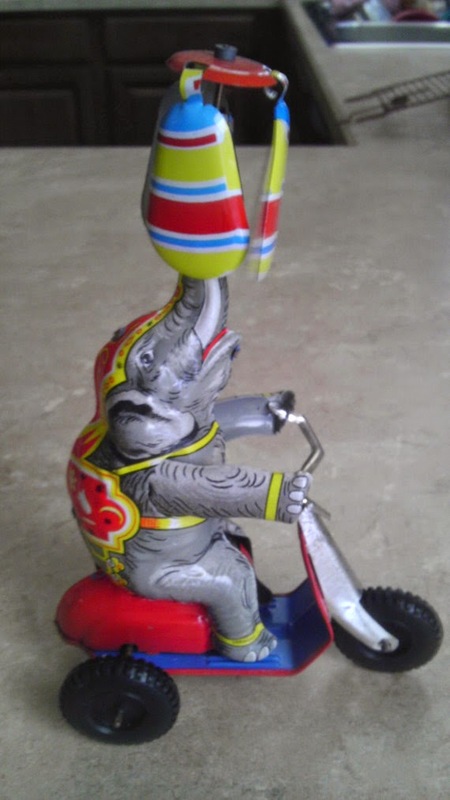 I actually remember my brother being given one of these mechanical Elephants, he used to call it the effelantcopter because he never could pronounce "elephant"! This one looks in terrific shape and still with all of its great primary painted colors. I discovered this over at the Happyforeverfinds Shop. 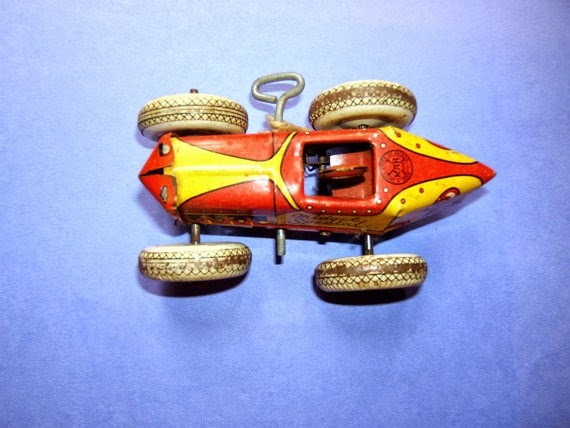 This racing car I bet was a huge hit for the child it was given to in the 1940's. It certainly was well cared for because here it is today, 2014 and it still works and looks bright with its orange and yellow coloring and large white wheels. I found this over at The Novascotiatreasures shop. shop..Isn't this just the cutest clown, look at those large blue eyes! These little vintage pieces from the 1940's and 1950's, usually made of tin, with their wonderful (spam tin keys) make wonderful nostalgic gifts to give at Christmas time to that someone special. These still have the ability to bring out the child in most adults. All you have to do is wind it up and let it go and you'll notice the smiling face(s) as the toy mechanically makes its way around the table top or the floor, it is bound to create some wonderful and memorable moments.